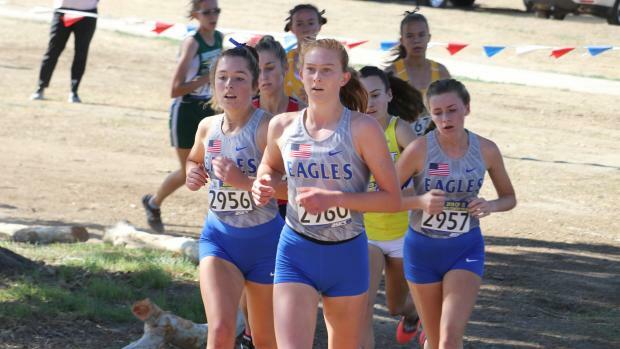 With Santa Ana winds picking up the last two days all throughout Southern California, the ultra-dry conditions and gusty winds presented a challenge to those competing at the first day of the Southern Section Prelims! 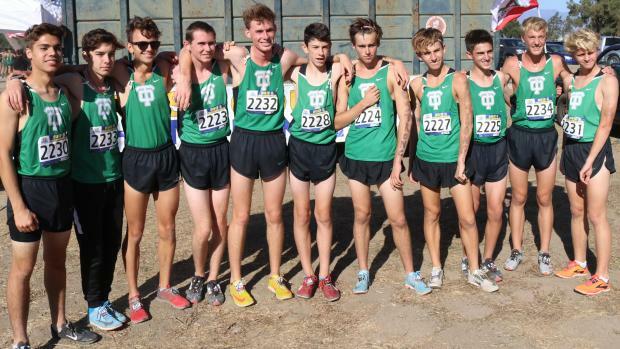 As mentioned in our preview, most of the top squads do not run their full varsity lineups while if they do, they take a more conservative approach and pack-run or defer to what some of us refer to as 'tempoing' the course. With the dry winds escalating, teams took an even more conservative approach to the day as most of the races featured a slower-than-normal pace through the first half. With this morning's races, there were two heats for each division while the top twelve teams from each advanced onto the Nov. 17 CIF-SS Finals. Any athlete that finished in the top 15, but not on a qualifying team, also advanced onward. The highlight of the morning was put in by the Riverside Championships Course record holder, Kevin Ramos of Rubidoux. 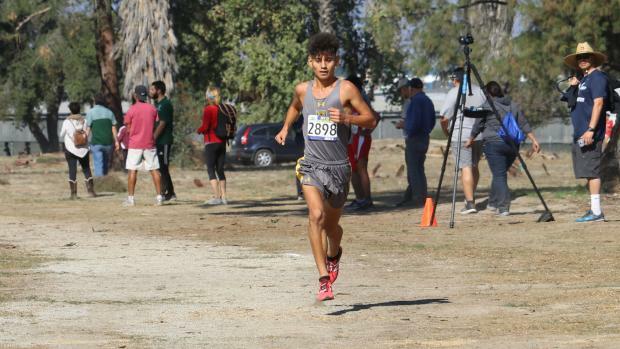 Arguably the top runner in California thus far, Ramos rocketed up the rankings after this 14:25 victory at the Riverside Invitational (on this same course) but then matched it with a dominating 14:28 performance at Mt. SAC a week later. When glancing at the results, you will notice the 15:02.9 time, but trust us when we say that it was nothing than an easy, tempo run for him. He never looked pressed and even after crossing the line, looked like he could have immediately repeated the same effort over. 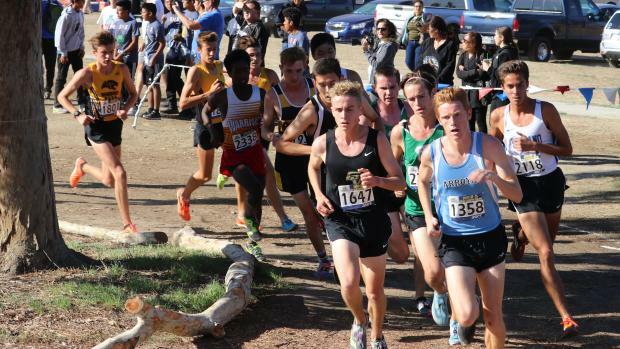 Due to the Woosley Fire that is ravaging through Ventura County, CIF-SS meet management made the decision to allow certain squads that could not attend to advance. This would on top of the already allocated 24 team slots for next weekend's SS-Finals as the Riverside course can accommodate those numbers on the starting line. We are assured that Oak Park's boys and girls will receive an invite while we are still awaiting word on Agoura's girls. No surprises whatsoever occurred. All sixteen seeds moved forward. Noah Hibbard of Arroyo did the pacing chores and ran away with the victory in 15:20.7. After finishing commented on how surprised he was with the slower pacing. Three individuals kept Hibbard in view and claimed the next three spots to easily move on. 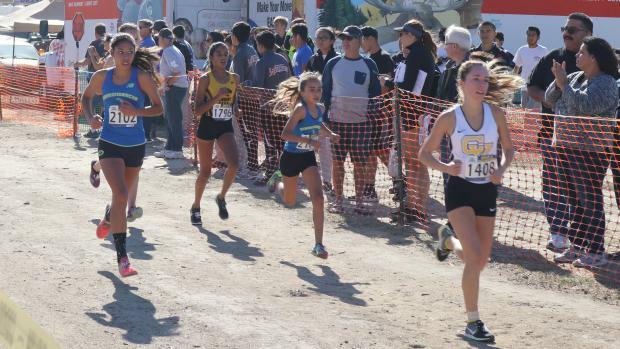 Top-ranked Newbury Park chose to stay together and all finish at 15:44 as they were even seen talking to one another mid-way through the race. 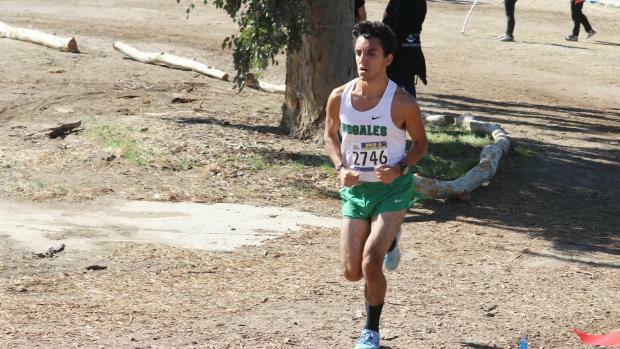 Woodbridge's #1 opted to run back from their front runners while Thousand Oaks sat out Michael Mireles. In the second heat, Saugus' Jacob Kaufmann pushed the pace for most of the second half, but it was defending Division II champ, Ethan Danforth, who moved away for the 15:31.5 victory over the last 400 meters. Newport Harbor's Alexis Garcia opted to stay back until the last mile as he finished right behind Danforth. There were no individual qualifiers while Claremont all finished within two seconds of one another although resting out four of their top seven. Loyola gapped 14 seconds for their scoring five in a controlled effort. Much of the same from the girls as we saw from the boys. No surprises as all of top squads easily advanced. 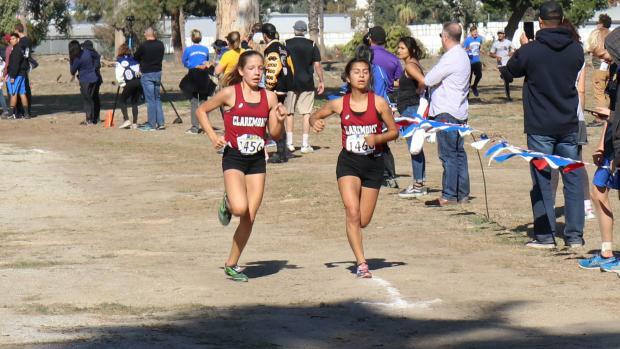 tempo'ed together -- while Saugus rested out a top girl. There were no individual qualifiers. The second heat saw J.W. 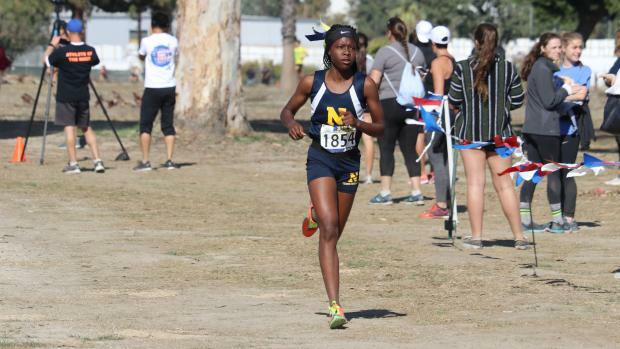 North's Makayla Browne control the pace and over the last mile, move away for the 10-second victory (17:58.2). Jill Walker of Simi Valley and Rebecca Schultz of Westlake were up front all along while Mission Viejo impressed with a controlled effort. 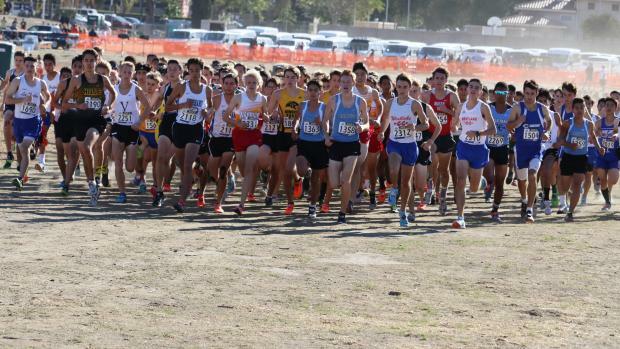 The top three teams from Orange County dominated the action from a team scoring perspective. The Anaheim Canyon girls were said to be nervous beforehand, but those nerves would put to rest shortly after the gun as they emerged with the top score of 67, ahead of Mission Viejo at 91 and El Toro with 134 points. This heat was much faster, overall than the previous as the 13th team to finish would have been 9th in the previous heat. There were three individual qualifiers (listed below). The first heat ended up with the top three teams only eights point apart. As highlighted above, Rubidoux's Kevin Ramos rolled to the easy victory. After setting the course record of 14:25 last month, Ramos mentioned that he will 'cruise' through the sectional finals and focus on the state meet where he will meet up with Redwood's Liam Anderson. Second place all throughout, Devin Hightower of South Hills situated himself between Ramos and the chase pack. Six individuals moved on, which was the most of any heat at this year's divisional prelims. That pack, closed in on him over the last 600 meters, with Dos Pueblos' Joseph Pearlman moving to the front with a 15:43. Palos Verdes sat out several top boys in preparation for next week's finals. In the second heat, the Rajas of Indio got out well, placing three up front the entire race. With that, they were the top squad in the overall merged results, despite sitting out a couple of varsity athletes. Individually, it was Osvaldo Cervantes of Nogales that took the early lead and never relented in a wire-to-wire, 15:33 victory. Highly touted West Torrance cruised through with ease in their much-anticipated match-up against Palos Verdes next week. The first heat was owned by Corona del Mar's Annabelle Boudreau. She never let off the pedal, running away with the largest margin of victory out of the 23 races contested at this year's prelims. Her 44-second victory was well ahead of the trio of Mia Chavez (Chino), Lorelei Claxton (Bonita) and Melanie Mach (Rosemead). Chavez moved away from the other two with 800 meters to go for her best performance of the season. Top-ranked Palos Verdes group sat out their top four, yet still cruised to finish 2nd in the heat. The second heat featured the Santa Margarita trio up front the entire race in a much more conservative pack than what we saw in the first heat. Meagan Gonzalez of West Torrance emerged for the victory in 18:48. Monrovia's Alayna Peters took 2nd, not to far behind in 18:54 to secure an individual berth. Defending champs, Laguna Hills, rolled to the team win here while Yorba Linda impressed by finishing in 2nd as a team.